116 E. Schuyler St. Boonville, NY. 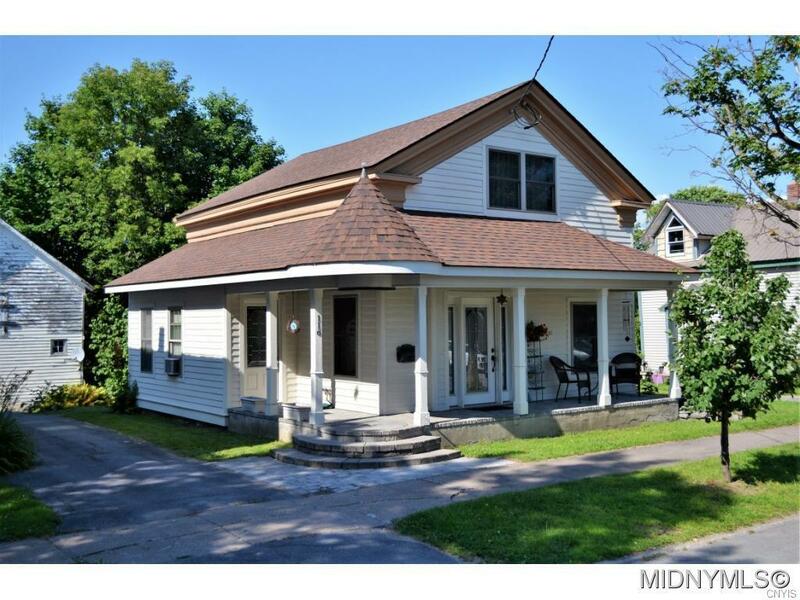 | MLS# 1703004 | Benn Realty LLC -Since 1968, and now with offices in Old Forge and Remsen to serve you better. Looking for the perfect village home? Well this is it! Completely remodeled in 2009, the first floor is an open floor plan with custom cabinets, granite countertops and island, stainless appliances, in-floor radiant heat, new windows, spray foam insulation throughout the whole house and basement, new electric, new boiler, sheetrock and flooring! Some finish work to be completed, including bathroom upstairs. Currently plumbed with all fixtures, including walk in shower. Large barn for storage!